Is it lack of sleep or not? Insomnia is the inability for one to get the amount of sleep they need to wake up feeling rested and refreshed. Insomnia is often a symptom of another problem, such as stress, anxiety, depression, or any other underlying health condition such as sleep apnea. Sleep apnea is a serious and potentially life-threatening sleep disorder. Sleep apnea is when your breathing temporarily stops during sleep due to the blockage of the upper airways. 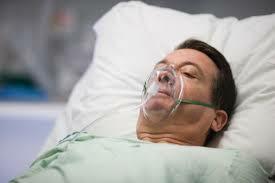 Sleep apnea can be successfully treated with (CPAP) Continuos Positive Airway Pressure, a mask-like device that delivers a stream of air while you sleep. Restless legs syndrome causes an almost irresistable urge to move your legs (or arms). The urge to move occurs when you’re resting or lying down and it is usually due to uncomfortable tingly, aching, or creeping sensations.